Colorado is an extraordinary state with lots of opportunities for adventure. It’s no fun if you’re not prepared. Here are my top travel tips for high altitude, weather, and what to pack to make your vacation the best ever! If you’re like me, you take time to prepare for a trip. I check the weather and plan accordingly. Okay. Obsessively. But just like the weather forecasters in your area, they all have trouble predicting too much in advance. (The one on my iPhone is way off.) The temperatures soar when it’s supposed to be cool or storms roll in when you plan to camp on the beach. Traveling in Colorado means experiencing high altitude and mountains which makes weather and temperatures even more unpredictable. No matter how warm it gets, the dry air will feel cooler. I can never complain about the same 90-degree temperatures to my mother who may be experiencing the same heat in Wisconsin. Remember, it’s never the heat, it’s the humidity. The Denver area and Front Range are a mile high in elevation, so the sun is intense year round. Bring a hat and sunglasses. And don’t forget sunscreen. You’ll be surprised at how much easier it is to get sunburned here than at sea level. You want to avoid that nasty farmer tan when sticking your elbow out the window and driving on I-70 to the mountains. This is the land of 300 sunny days. Most mornings will be cloud-free, but don’t be fooled. Moist cool air from the mountains often collides with the heat of the day creating thunderstorms late in the afternoon or evening. That is not a good time to hike or bike in the foothills or mountains since storms can produce numerous lightning strikes. These are the Rocky Mountains and lightning loves to ground itself by striking the tallest object. That could be you, even if you are only five feet tall and are only halfway to the summit. Start your hikes early, especially in higher elevations. Pack shoes and clothes suitable for the terrain and bring a refillable water bottle. When exploring towns during the day, wear casual and comfortable attire. You will see a wide range of styles from T-shirts and shorts to sundresses. Our warm summer days are always followed by cool nights. Many homes still aren’t equipped with air conditioning for this reason. All you have to do is crack a window. I grab a light sweater when I go out here in Boulder, just in case a breeze picks up. The air conditioning in restaurants can be pretty uncomfortable too. In the mountains, it is easy to point out the tourists. 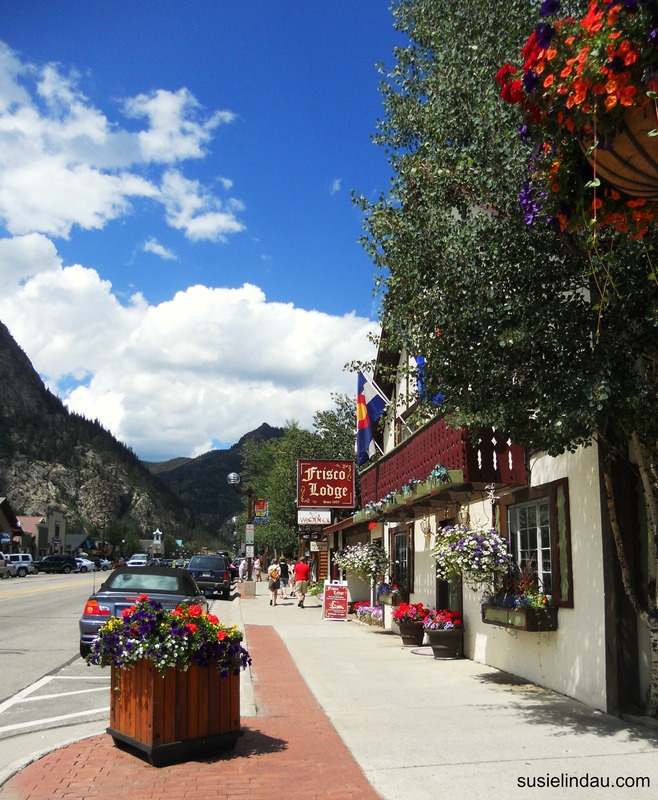 They shiver in short-sleeve shirts and shorts when walking down Main Street in Breckenridge on summer nights. That may be perfect for daytime when it’s in the 70’s and 80’s, but at night, temperatures can drop into the low 40’s. The higher the elevation, the cooler it gets. I always pack jeans, a light jacket, and a raincoat. 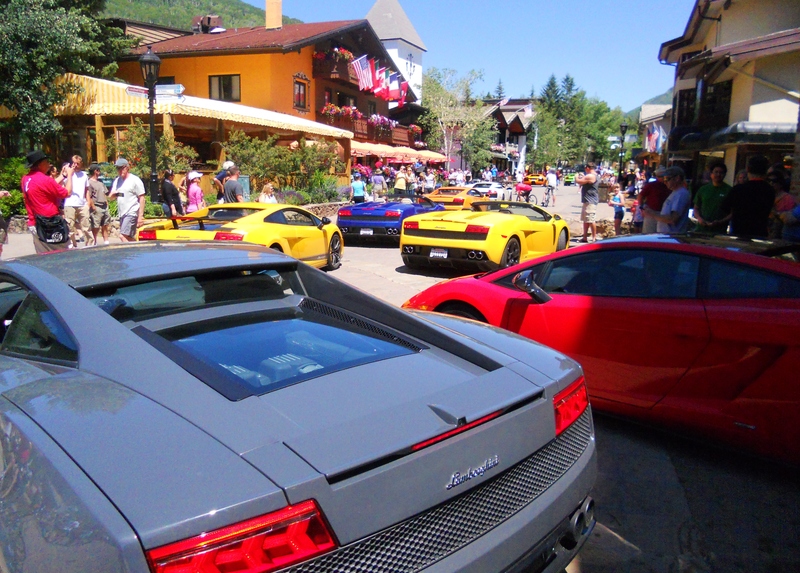 Most wear casual attire, but nothing surprises me in Vail and Aspen because, Vail and Aspen. While traveling in the mountains, you may find yourself two miles above sea level. It’s okay. Don’t freak out. Our house in Breckenridge is around 10,500 feet. Yep. I get in shape just sleeping there. Drink a lot of water. It will ward off high altitude sickness. Take it easy the first day and watch your alcohol consumption. Dehydration is your enemy and I want you to have a great time when visiting my fair state. Don’t climb any fourteeners until later in the week, after you’ve acclimated. So there you have it. The environment is very different here because of the altitude. Now that you’re prepared, I’m sure you will love your visit to Colorado! Do you have any travel tips you’d like to share from your neck of the woods? Click for adventure (and misadventures) on the Wild Ride! I wouldn’t mind seeing the sun 300 days of the year, though I prefer the humidity. In Melbourne: carry clothes around with you for all weather. There’s no avoiding it! Ha! I just noticed your comment! I love humidity too. It’s always a compromise. 🙂 Layering is the way to go!